Structural Design of Reinforced Concrete Tanks, Pools, etc. 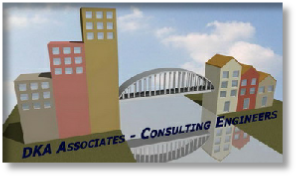 Implementation of Structural Design, Architectural Design, etc. Supervision of Structural Works, Architectural Works, etc. Construction Site Management, Administration, etc. Assessment of Existing Buildings for Works such as: Extension, Strengthening, Repair, etc. Property Marketability, Financial Analysis of Property, etc. Design, Construction Works, Participation in Numerous National - International Tenders, etc.